Indian registered Dhow ‘Al-Kausar’ was hijacked off the island of Socotra on 01 April 2017. The vessel was taken to the port of Hobyo, on the Eastern coast of Somalia and the 10 crew members were captured and held by pirates. 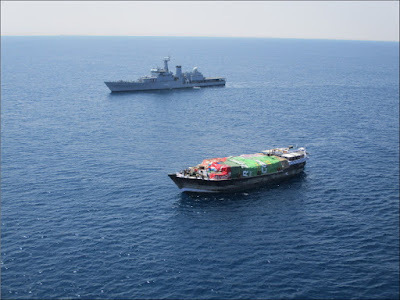 Indian Navy redeployed its ship, operating in the Gulf of Aden for Anti-Piracy Patrol, to the East coast of Somalia to monitor the ongoing situation and remain standby for any other contingency operations. In the interim, negotiations commenced between the owner and the hijackers for the safe release of the vessel, its cargo and crew. All inter-government agencies maintained a close watch and effective coordination during the progress of negotiations. Based on the outcome of the negotiations, the dhow along with its cargo and two crew members were released on 11 April 2017, and the balance eight crew were released on 12 April 2017. 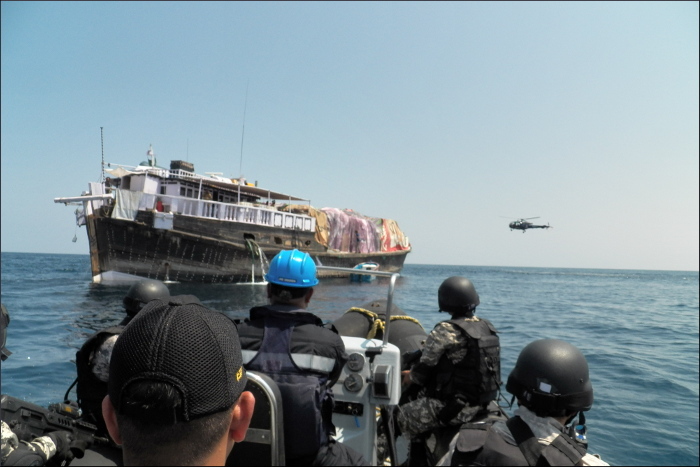 Somalian Security Forces also provided support and assistance during this operation with armed guards being positioned on the dhow off Hobyo harbour as well as search parties undertaking operations to locate the balance crew ashore. 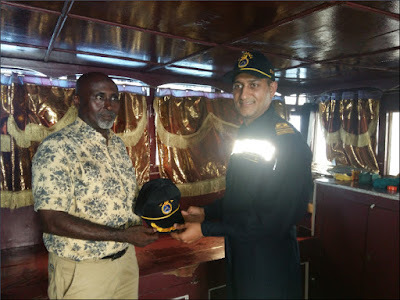 The Indian Navy formally accepted the Dhow ‘Al-Kausar’ from the Mayor of Hobyo, Somalia at about 1600hrs on 13 April 2017, thus lowering the curtains on the hijacking saga, which had commenced on 01 April 2017. The IN ship, deployed for this operation took over the dhow and escorted it into International Waters and onward towards its next destination. The ship conducted a medical checkup for all the crew members and provided necessary supplies for the onward journey, prior resuming anti-piracy patrol operations.